They Released Plush Doom Demons. He's Here To Send Them Back To Hell. Last year the folks at Gaming Heads brought upon this Earth a plague of cuddly, snuggly Cacodemons and Pain Elementals. Here is their heartfelt apology, armed with with the fluffiest plasma gun ever. 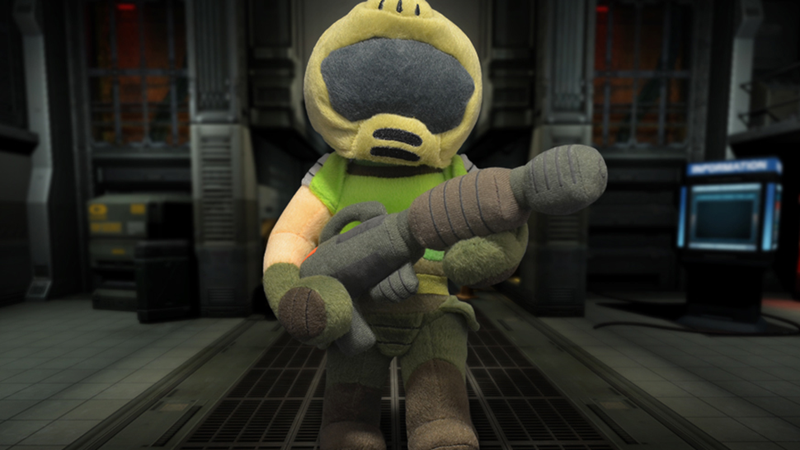 Think Nothing About Doom Is Huggable? Think Again. I know what you're thinking. "This Space Marine plushie looks nothing like Dwayne 'The Rock' Johnson or Karl Urban." Oh come on, he could be anybody under that helmet. Even you, my young friends. Even you. As long as you are 11 inches tall, cost $19.99 and are for sale here.